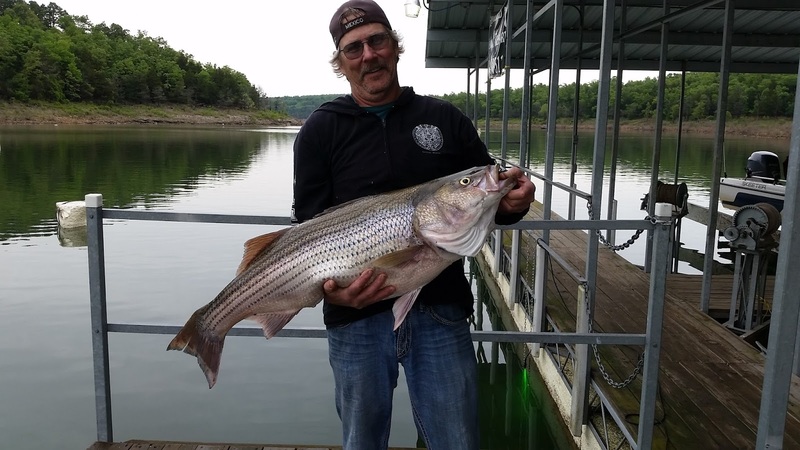 Overall, Norfork Lake fishing is good to excellent. 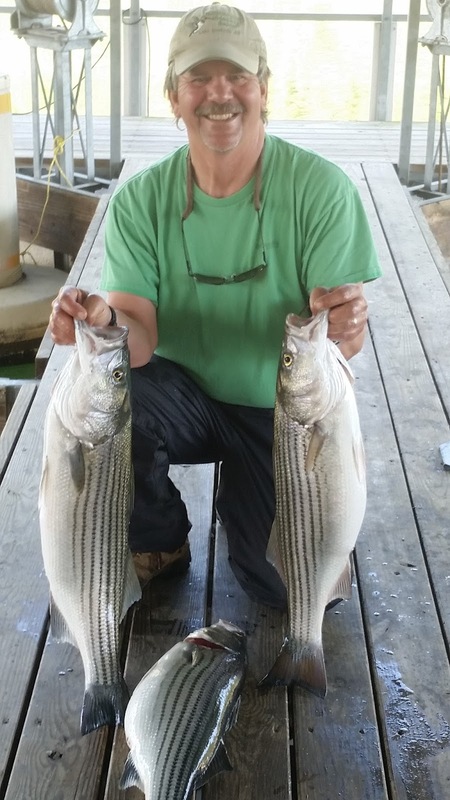 Top water action for stripers, hybrids, whites and largemouth bass is occurring at sunrise and sunset. Now, top water action is not always occurring in the same location every morning, but typically will be somewhere in the general area. If you find a large concentration of bait on the service there is a very good chance a school of fish will erupt on that bait at some time. Some days you will see a large area start to boil with fish going crazy, but other times you might just see some swirls on the service. Cast some sort of top water bait at the swirl or boiling water and hang on. Top water many also occur at any depth of water, close or far away from the shoreline. 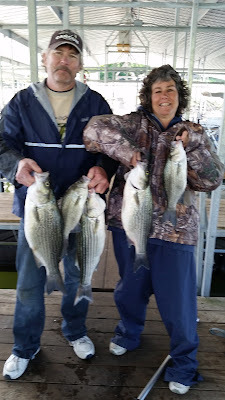 Striped and hybrid bass fishing has been great the last week, including this morning. I landed 5 hybrids and 3 stripers on both a Zara Spook and live thread fin shad. There were fish coming up along a bluff line down from a main lake point. You can find the fish up tight on the banks early in the morning and as the sun comes up, they move out from the shore a little and have been 5 to 20 feet down, no matter what water depth. I have been trying to leave my dock at 5AM to get into some night time action with a stick bait or I pitch a thread fin shad to the shore line with no weight. 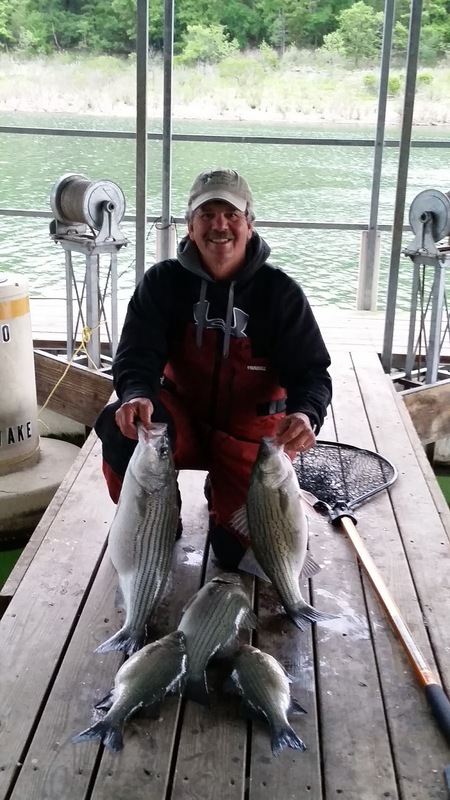 Both baits have been working picking up stripers, hybrids and walleye in the dark. I have been long lining live bait with a 1/16 ounce or a 1/8 ounce split shot and slowly moving about with my trolling motor. This has been effective in both shallow and deep water. Good artificial baits to use are a blade type bait or a swim bait, just get either of them to the proper depth of the fish. Saturday morning Brian, a guest of Hummingbird Hideaway Resort, landed a monster 35 pound striped bass. He was fishing with a small 3-4 inch thread fin shad and had the battle of his life. This fish will be a wall fixture. I have been fishing mid to the upper portions of the lake, but I have many reports that striped bass fishing is also good in the southern portion of the lake. 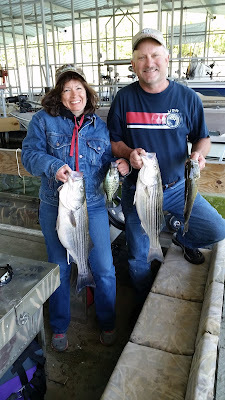 Largemouth, smallmouth and spotted bass fishing is also very good. Many of the fish have completed their spawn and now are on the post spawn feed, Early and late in the day you can get this species with a top water bait or swim bait. They tend to go down deeper as the sun comes up. Switch to a jig & pig or some sort of plastic bait and work it along the bottom from 5 feet to 17 feet of water. Most of the bass I am marking, no matter what time of day, are in less than 20 feet of water. Pan fishing is also picking up. 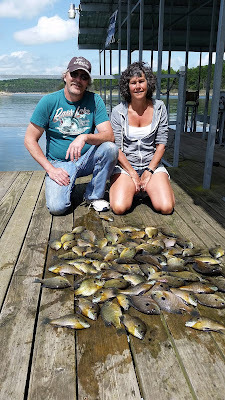 A couple of our guests caught a boat load of big blue gills in the middle of the day off of bluff line cuts. If you can find a good ledge that is around 30 feet down they will be hanging out. Wax worms were their bait of choice. 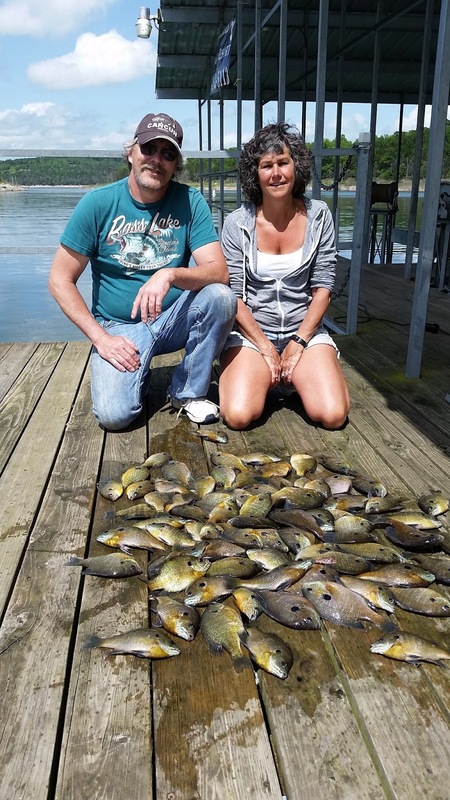 No need to sit indoors in the middle of day, blue gills are a great eating fish. Crappie are moving into brush in 20 - 30 feet of water. They typically will be on the tops of the brush or between the brush and the shoreline. Catfish are starting to move into the shore line. Trotlines are picking up a few good fish. I caught a nice 6 pound channel this morning on live shad in 20 feet of water. The Norfork Lake level is rising slowly with the past couple days of rain. The current level is 553.57. The surface water temperature has also risen to 67 degrees as of this morning. Parts of the main lake is clear, but many areas are stained due to the rains. The creeks and coves are also stained. Great fishing color to the water.